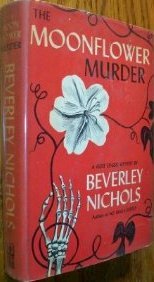 Beverley Nichols was one of those versatile centipedes, filling his waking hours with writing plays and composing music or clamber on stage as an actor or appear as an public speaker, who's best remembered, if he's remembered at all, for a series of books he wrote on gardening that are still in print today. The same, alas, can't be said for his five detective novels, written and published during the waning years of the Golden Age, about his mild-mannered and sometimes playful (botanic) detective Horatio Green – who possesses a sensitive nose and a proven track-record as a successful criminologist. 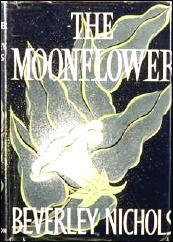 The Moonflower (1955; a.k.a. The Moonflower Murder) was my first brush with Nichols and it left me more intrigued than floored as the plot was, uhm, interesting to say the least. I can only describe it as a flawed gem. It focuses on the murder of the unpopular Mrs. Faversham, whose sudden exclusion from the house to the cemetery is merely viewed as a financial windfall by her selfish, live-in relatives, but slowly the case morphs from a common garden variety murder into an ingeniously contrived impossible crime – complete with hidden relationships, motive juggling and a nifty turn on that trite plot-device of changed wills on the eve of a murder. That's the main strength of this book: a solution that not only lives up to its premise but blows it out of the water. When Green began to explain, I stopped caring about any of the tiny imperfections, cracks or internal flaws that mar this little gem. Sometimes the story that goes with a piece of antique is of more value than the piece itself. So... now that we got the conclusion of this review out of the way, I can actually start writing it. At opening pages of this story, Horatio Green's professional interest in Candle Court, Mrs. Faversham's estate, restricts itself to her plant room, where a rare moonflower from Uruguay is on the brink of blossoming, and as an amateur gardener he’s there merely as a privileged witness. But the classic, storybook signs of an imminent assassination are all there. Mrs. Faversham makes herself everything but agreeable, turning Beryl, her son's wife, out of there favorite room the provide a bed and roof to one of her guests. Subtle little things like that would drive a lot of people to murder, except for the fact that Beryl is more than deserving of a personal tormentor and I would not have blamed Nichols one bit if he had "spiced-up" the plot with her being pushed down a flight of stairs or into the swirling river that provides a permanent background noise at Candle Court. Unfortunately, the body count begins and ends with Mrs. Faversham, with a pair of hands clasped tightly around her throat, and the illustrious moonflower is found to have blossomed prematurely! The plot is pleasantly busy, regularly throwing new developments and revelations at the reader and investigators, enwrapping both of them as tightly as in an insect in a spider's web. Green is also a fun detective who reminded another reviewer of Clyde Clason's T.L. Westborough, and, while I do not entirely disagree, he impressed me as a cross between a slightly more intelligent, but equally enthusiastic, Roger Sharingham and a toned-down Dr. Gideon Fell who only clung to his penchant for muttering cryptic remarks. He's also prone to staging little experiments to observe people's responses to it. It is, therefore, a pity he was unable to straighten out and streamline the plot better and deliver a genuine classic. Some clues were shared, others were not and some unnecessary plot threads could've easily been cutout without losing anything. I mean, what was the whole point of the convict's escape, when he was almost immediately eliminated as a suspect, or even bringing up that incident in Uruguay? One more thing that's worth mentioning is that the book has a social conscience. Green is reprimanded by Beryl for talking to one of the servants as if he was a gentleman, but the reader knows what Green thinks of her opinion, which, as good form dictates, he does not utter out loud, and part of the solution raises an issue that would become an important one in the following decade – giving this fantastic story a surprisingly human touch. But it's not surprising that Nichols felt the need to point out the unfair treatment of people based on how or where they were born. You see, Nichols was so inconsiderate to be gay in a time when it was not done. All in all, I can recommend this book to readers prepared to take its flaws as well and to fellow aficionados of the locked room mystery. It’s not exactly a one-of-a-kind locked room, but it's close enough to being one and a good one at that. Afterthought: the only thing I really disliked about The Moonflower is that it didn't provide me with an opportunity to work in a reference to The Thing in Mrs. Faversham's Attic without using a giant shoehorn. "Most of us rather like our cats to have a streak of wickedness. I should not feel quite easy in the company of any cat that walked about the house with a saintly expression." "My work in the Department of Queer Complaints is concerned only with the improbable and, well, frankly, the unbelievable." - Colonel March (The Sorcerer). John Dickson Carr's Mephistophelean cunning and his incurable romantic disposition proved to be a fruitful union that gave birth to a number of memorable detectives, like the Chestertonian Dr. Gideon Fell and the curmudgeonly Sir Henry Merrivale, but it was his official policeman, Colonel March of Department 3-D of Scotland Yard, who became a regular on the small screen between 1956 and 1957 – finding an explanation for more than twenty cases of the bizarre and impossible. The thirty-minute episodes were (loosely) based on the stories in The Department of Queer Complaints (1940), in which Colonel March is called upon to investigate implausible stories in order to determine whether they are exaggerations, hoaxes or cleverly disguised crimes. Colonel March of Scotland Yard follows the pattern of the short stories, but the inescapable modifications are present as well and the most "eye-catching" one is Boris Karloff as March – who doesn't fit the description of a speckled man with bland eyes and a short pipe projecting from under a cropped moustache (which may be sandy or gray). 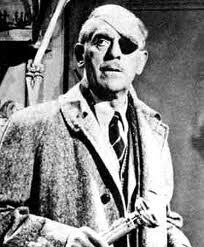 Inexplicably, March was given an eye-patch, which occasionally causes a collision with one of the sets that wobbled in the background, but Karloff played the amiable detective convincingly and actually gave March more of a personality than he had in the original stories. I finally decided to watch a few episodes and in spite of the dated production values, retooled stories or forgetting to drop a clue here and there it was a blast to watch. It’s basically a direct ancestor of Jonathan Creek with its locked rooms, bizarre occurrences and light-hearted undertone. The framework of The New Invisible Man is the same as its eponymous story and has March looking into the unbelievable story of Major Henry Rodman, who witnessed a shooting in the apartment of his neighbors and the only description he was able to give of the murderer is that of a pair of floating, disembodied gloves – filled with invisible hands. However, this amusing yarn Carr spun was merely a subplot in the episode and a layer saturated with criminal intent was added to the story, which, IMO, was a mistake. The story from the collection perfectly demonstrated what kind of unusual problems March's department handles and tossing a common garden variety of crime cheapened the plot. But it was fun to see with my own eyes how the trick looks like in real-life. 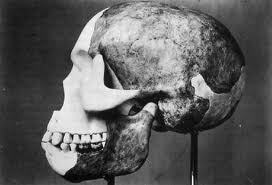 "Piltdown Man" hoax inspired the following episode. An ancient skull called "Damascus Man," known as The Missing Link, which's also the title that was slapped on this episode and opens with an attempted theft of the skull by two museum employees, Tom Grafton and Evelyn Innes, in order to expose Sir Henry Danier as a fraud – except that the skull does end being stolen but by whom and why? This is more a story of crime and archeological skullduggery than of detection, but an enjoyable one at that. Over the course of the next episode, The Sorcerer, John Cusby suspect his wife's psycho-analyst, Dr. James Patten, of plotting her demise and fumes with malicious intent, but it's his wife who ends up as a suspect when Dr. Patten is stabbed to death with one of her hatpins inside his, locked and windowless, treatment room – with Mrs. Cusby as its only other occupant. I was afraid the entire episode that the plot would hinge on hypnosis with Mrs. Cusby as a remote-controlled assassin, but the trick used to enter the sealed room was surprisingly good. Simple but effective. Death in Inner Space is Carter Dickson as conceived by Clayton Rawson or Fredric Brown, opening with March giving a speech for the Society of Interplanetary Communication, where’s invited by Dr. Hodek to spend a few days at his home – where's working on experiments with suspended animation. He’s convinced that he has been receiving radio signals from Mars and that, one day, we will be able to visit our Martian neighbors and his work is the first step. Unfortunately, one of his experiments goes horribly wrong and his volunteer dies due to a lack of oxygen in spite of a perfectly working alarm system that should've warned Hodek in case anything went wrong. Not all that bad, but the premise was more interesting than the solution and the ending was ambiguous. The Invisible Knife has an unusual take on the multiple spouse-killers: a man who regularly has to bury business partners. Basil Pennacott had them all over the world, from Bombay to Tangier, and he profited from all of them – especially after they died. Four of them appeared to have died of natural causes, but the fifth, Edmund Hays, was stabbed in the proverbial locked room while attempting to summon demons. Pennacott was there with him, but was never charged because the police was unable to find the murder weapon. But now that Basil has come back to England, he finds himself being threatened by the Hays' brother, who mailed him a dead parrot with a poisoned beak, and asks March to protect his life. This gives the story a nice dual conflict of having to protect an unscrupulous murderer on one hand and trying to prevent an innocent man from becoming one on the other. The trick for the vanishing murder weapon was culled from "The Dragon in the Pool," which was a radio play Carr penned for Appointment with Fear. You can expect more posts on this series in the not-so distant future, but you can also discover them for yourselves on YouTube. "The candle flame flutters. Its little pool of light trembles. Darkness gathers. The demons begin to stir." Ghosts, goblins and other grotesque imaginations that pried themselves loose from the human mind have proven themselves prone to sudden bursts of stage fright, whenever they are expected to perform under controlled conditions and the cold discerning eye of reason, but what if you have a reputedly haunted room with a malevolent ghost as a permanent tenant... who's not shy at all? 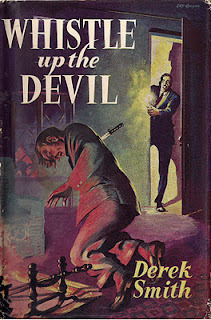 Well, that's the plot of Derek Smith's Whistle Up the Devil (1954), an ingenious locked room novel that has been on my wish list for years but got top-priority when Patrick posted a mouthwatering review of the book and spiced it up with lots of background information on the author of this little gem. I won't reproduce it here, but from it a picture emerged of a man we all would've loved unconditionally. Derek Smith was apparently a kind and generous man who was above all a mystery fan, and a clever one as that. Patrick began his review with his concluding opinion of the book and it's one I would like to echo before I begin to look for the words to shape mine: Whistle Up the Devil is one of the most ingeniously concocted and worked out impossible crimes that I have read and you almost wonder if Satan himself sat down with Smith to plot the story. The story opens with an early phone call from Chief Inspector Castle to his friend and dilettante sleuth, Algy Lawrence, with a request to go to home of personal friend, Roger Querrin, who's determined to keep an appointment with the family ghost in a locked and haunted room – giving a perfect cover for an assassin to strike and unburden the guilt on a ghostly murderer who can't be cuffed or hanged for it. Everyone in his household is trying to keep Roger from spending the evening with a long dead relative, like his fiancé and his brother, who's worrying himself into a straightjacket, but he stands firm and guards are posted outside the room to stand guard. (including a policeman outside who keeps a hawk's eye on the window). But naturally a piercing scream shatters the peaceful night. And as the door is taken down, they're only just in time to see Roger taking his last breath as he collapses. A dagger that was in a sheath on the wall was sticking out of his back like a well-fed parasite. Unfortunately, the supernatural elements are not played up as one would expect from a premise like the one I just sketched and this was perhaps most notable in the Querrin family legend, which gets a brief and a guess of an explanation towards the end, however, this is merely a stylistic flaw and one that's more than compensated with an intricate plot that is woven like a mesh of hex netting. There is, for example, the obligatory "Locked Room Lecture," nearly all these novels with a grand status seems to have one, but here's its not just to show-off the authors knowledge of the genre but to drive the reader (and Castle) up the wall by demonstrating just how impossible this murder really is – simply by eliminating every known trick in the book. Whistle Up the Devil is also scattered with references to other detective stories and they're not the usual bunch of suspects, like The Hanshews The Man of the Forty Faces (1910), Rupert Penny's Sealed Room Murder (1951), which had a good trick but was tedious to read, and Clayton Rawson's Death from a Top Hat (1938), showing the individual taste of Smith. As one of those celebrated, but obscure, monuments of the locked room sub-genre, there's also the second obligatory murder that mimics the maddening impossibilities of the first one and this time the backdrop is between the walls of a room supposedly a stronghold of safety: a prison cell in an occupied police station. A man named Simon Turner was deposited in one of their jails after assaulting Algy and sergeant Hardinge during a nightly prowl on the Querrin premise, but prying any information from him on what he may have seen is another impossibility dropped in the lap of our investigators – followed by another one when the murderer made sure he stays as quiet as humanly possible. The lock of the cell door was picked and Turner had been expertly strangled and according to the medical evidence the murder took place when Algy and Hardinge were talking in the Charge Room, which you have to pass if you want to go the cells. Guess what... they didn't saw a soul! Not a visible one, anyway. The murders are pulled off with the routine a stage magician saws a woman in half, but, surprisingly, it did not lack any believability because Smith dovetails every snippet of plot together to form a coherent sequence of events that you can’t help but believe it could be pulled-off like that. I also loved how he continuously made me switch between two suspects only to show me what a fool I have been in the end. This makes it very heart to care for a few not so well drawn characters, ghosts who prefer to keep snoring in their graves or tip-toeing poltergeists. Whistle Up the Devil simply is a collaborative labor of love between the enthusiastic heart and sharp brain of a very big mystery fan. So much is obvious from reading this book. Smith did wrote a follow-up novel, Come to Paddington Fair (1997), but he was unable to find a publisher until a fan published it in a limited release of 100 copies in Japan (published in English) and is impossible to find. If you want to know about Smith, I urge you to read Patrick's in-depth post of this book and the man who penned it. Oh, and Patrick... Damn you! You were not suppose to tempt me with our tempting reviews. Aim for the unenlightened masses! "I found some time ago that I have to be careful, while working on a novel, what I read." In 1972, the Times of London organized a short story competition for detective stories and after the jury, comprising of Lord Butler, Tom Stoppard and the Queen of Crime Agatha Christie, had ploughed through a 1000 stories – it was John Sladek's "By an Unknown Hand" who let his fellow competitors biting the dust of defeat. His award: the story was published in The Times Anthology of Detective Stories (1972) and a contract to pen one of my all-time favorite locked room novels, Black Aura (1974), and he wrote a follow up a few years later entitled Invisible Green (1977). These stories are very well-known among locked room enthusiasts, like yours truly, but a let less familiar are the (non-impossible) short-short story "It Takes Your Breath Away," featuring Sladek's series detective Thackeray Phin, and a body of inverted mysteries with a twist, collected in Maps (2002), which I recommend without hesitation. 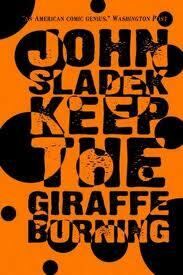 But Sladek also wrote a parody on the impossible crime genre, aptly titled "The Locked Room," which is virtually unknown because it's inexplicably buried in a volume of science-fiction stories – Keep the Giraffe Burning (1978). It you've always wondered what would happen if you tossed Douglas Adams or Monty Python into the blender with John Dickson Carr's "The Locked Lecture," a chapter from The Hollow Man (1935), than you have to read this story. The protagonists of this yarn are Fenton Worth, a lauded private investigator, and his valet, Bozo, but instead of taking on a case that's probably on their doorstep waiting to be let in he locks himself up in his library to read a mystery novel with The Locked Room (????) as its tantalizing title. As he reads through the pages, he begins to reflect on the miracles he has explained himself and goes over a lot of the familiar (and often trite) methods mentioned in Dr. Fell's lecture and has a good laugh at their expense. He also a few, uhm, interruptions from prospective clients. Sladek also wrote a mini-short story into this already short, short story and has Worth reflecting back on "The Case of the Parched Adjutant," in which "a retired military gentleman of sober and regular habits" and "an ardent anti-vivisectionist" is murdered in his locked study on the day the circus was in town. It's campy and absurd, but futile to suppress a grin while reading it. One more thing worth mentioning, is that Worth had to cut open the pages of the book he was reading. I was aware you had to do this back in the days with (some) hard covers, but I think this is the first time I have seen it being described in a story. Yes! I have broken the dry spell of not reading any mysteries since posting my review of Max Murray's The Sunshine Corpse (1954)! Now, if you'll excuse me, I have to tackle a monument of a locked room story. As much as Carr hated the modern era, I think/want to believe he would have liked this galore of busted doors and broken locks that is my blog. 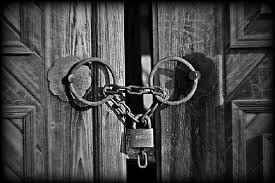 And in case you've missed it, take a peek at my second installment of favorite locked room mysteries: short stories and novellas. "The inside is a maze of doors. Anyone wishing to know it must dare to enter it." - Grograman, the Many-Colored Death (The Never-Ending Story, 1983). Well, I have not been granted an opportunity to (slow) burn through another detective novel and slapping together the second installment of locked room favorites may appear as a lame attempt to come across as productive, but I have noticed that people appreciate them and have been providing two bloggers with reading material (On the Threshold of Chaos and Lay on the Crime). I have to mention, before taking them down from the top, that I'm not the biggest consumer of short stories and this list may lack the depth and obscure gems of my list of full-length locked room mysteries. Robert Arthur's "The Glass Bridge." A well-known mystery novelist, Mark Hillyer, makes a female blackmailer disappear from his home and the lack of footprints in the snow show that she never left the premise, but the house is completely empty – and Hillyer's fragile condition makes it unlikely that he buried or chopped-up the body. A story that should be better known. Robert Arthur's "The 51st Sealed Room." A copious writer of locked room mysteries is found decapitated inside a sealed cabin, propped up in front of his type writer and his severed head overseeing the scene from atop a book case, but the many cameos from MWA members is what really makes this story – as most of the clues turn out to be nothing more than red herrings. Still a fun and solid read, though. William Brittain's "The Man Who Read John Dickson Carr." Fredric Brown's "The Spherical Ghoul." The only thing that the narrator of this story is sure of, is that something slinked into a locked mortuary and gnawed off the face of one of the corpses, but what and how? A classic! John Dickson Carr & Adrian Conan Doyle's "The Adventure of the Gold Hunter." Sherlock Holmes and Dr. Watson look into the deaths of a squire and a man who apparently died from a supernatural bedside visitation, because the presence of a human murder seems impossible. 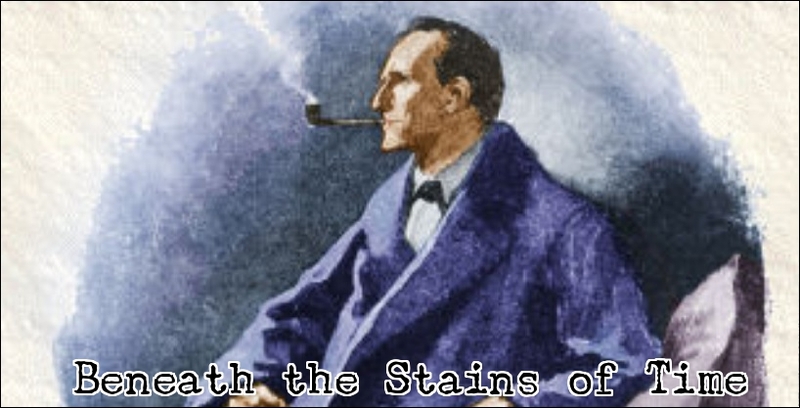 John Dickson Carr & Adrian Conan Doyle's "The Adventure of the Sealed Room." The previously untold story of Colonel Warburton's madness, who wounded his wife and then shot himself in his study, which was locked and bolted from the inside, but Holmes builds up an impressive case against a third party from such clues as cigar smoke and broken glass. John Dickson Carr's "The Dead Sleep Lightly." Originally written as a radio play for Suspense, this is one of Carr's most eerie tales of a man haunted by the ghost of his ex-wife and the impossibility is not just a nagging wife from beyond the grave who refuses to accept that death parted them, but also a spectral voice that speaks the following chilling words over a dead telephone: "But the dead sleep lightly. And they can be lonely too." I recommend the version with Dr. Gideon Fell and was published in the collection The Dead Sleep Lightly (1983). G.K. Chesterton's "The Arrow from Heaven." A millionaire is shot to death in a locked room with an arrow and the solution for this puzzle introduces one the authors classic, and often copied, gambits that toys with the readers presumptions – famously revisited in one of Agatha Christie's more well-known novels. G.K. Chesterton's "The Oracle of the Dog." A man is stabbed to death in a watched summerhouse and the wrong man is about to be collared, based on the testimony of a dog, but, of course, Father Brown is the only one who was really listening to what the dog had to say. G.K. Chesterton's "The Miracle of Moon Cresent." For one reason or another, this has always been one of my favorite Father Brown stories and always thought it was grossly underrated as a locked room mystery – which is that of the disappearance of a man from a watched room and was later found hanging in the gardens below. The solution is what you can expect from Chesterton. G.K. Chesterton's "The Secret Garden." This eerie tale of a dark, impenetrable garden and a beheading anticipates early Carr and seems to have been a model for the Japanese-style of plotting – especially of locked room mysteries. G.K. Chesterton's "The Invisible Man." Only here because of its pedigree and to keep you from asking why I didn’t include it in this list. G.K. Chesterton's "The Fairytale of Father Brown." Plot-wise, not his best story, but what a fantastic premise! Father Brown assumes the role of armchair detective to explain how a man could've been shot in a country without guns. My favorite of the Poirot short stories, in which Christie perfectly knitted two impossibilities, a predictive dream and a murder in a watched room, in a fascinating pattern and with a satisfying solution. Joseph Commings' "Bones for Davy Jones." An excellent story of a diver who was stabbed while alone in a shipwreck. Joseph Commings' "Murder Under Glass." Commings had one of the most versatile minds when it came to finding new variations and perspectives on the impossible problem: like putting a corpse on display in a glass room that's bolted on the inside and delivering the kind of solution you expect from such an original premise. Joseph Commings' "The X Street Murders." His most celebrated short story and often tagged as his master piece, in which someone is shot in an office under constant observation and the smoking gun is delivered within minutes inside a sealed envelope. I have to re-read and review that collection one of these days. Edmund Crispin's "The Name on the Window." A dead man is found inside a house and the only footprints leading up to it belong to the unfortunate victim. David Stuart Davies' "The Curzon Street Conundrum." A shipping magnate is murdered at his Curzon Street mansion, again, inside a locked room, and the solution is incredible cheeky, but clever, and a trick I had never seen before – which is why I still remember it after all these years. Carter Dickson's "The House in Goblin Wood." Twenty years before the opening of this story, a young girl, named Vicky, disappeared from a house that was locked and bolted from the inside – only to reappear a week later with a story that she had been living with the fairies. When she returns to the house two decades later, she disappears again under similar circumstances, but this time it becomes a grim fairy-tale. Carter Dickson's "The Silver Curtain." A young man looses everything, except his ticket to return home, in a French casino and is approached by a shady characters who offers him a wad of money in exchange for a favor: he has to sneak a bottle of pills pass custom services. However, the entire plan collapses like a house of cards when he witnesses how an invisible assailant stabs his new employer in an empty cul-de-sac. I have to come to the conclusion that this is perhaps one of my favorite tricks for this kind of impossible crime. So simple and effective. Lois H. Gresh & Robert Weinberg's "Death Rides the Elevator." This story almost reads like a homage to Rex Stout and John Dickson Carr, in which a man is decapitated while riding alone in his private elevator and Penelope Peters, a female Nero Wolfe, and Sean O'Brien, her Archie Goodwin, look into the matter. A research team on the Antarctic Continent are about to drill their way to an ancient repository of water, sealed between the rocks and ice since the dawn of men, and who knows what evolution concocted and created in that natural "locked room" – which is a fear that is becoming reality when members of the team begin to disappear one after another under baffling circumstances. Scooby Doo for grown ups! Paul Halter's "The Abominable Snowman." A seemingly innocent snowman, dressed up as a soldier, is magically endowed with life and witnesses see him savaging a man with a rifle before resuming an innocent posture. Paul Halter's "The Flower Girl." This is perhaps my favorite Paul Halter story, in which Santa Claus may have murdered an extremely unpleasant, Scrooge-like man. Pure Gladys Mitchell, if she had written locked room mysteries. Edward D. Hoch's "The Impossible Murder." A man is murdered, while alone in his car, in the middle of a traffic jam and the explanation is wonderfully simple. Hoch's brain must have been a beehive of crime with all those plot ideas buzzing around. It's unbelievable he penned close to a 1000 stories in his lifetime and it's a shame he was not given a few more years to reach that magical number. It would've been more than deserving! Edward D. Hoch's "The Long Way Down." Here's another example of that devilish brain of his: a man falls from a skyscraper and does not mess up the pavement until a few hours later. Realism be damned; more of this please! Edward D. Hoch's "The Problem of the Crowded Cemetery." My first meeting with Edward Hoch and Dr. Hawthorne, who's specialized in taking away those feverish hallucinations of hobgoblins, invisible men and curses that can often be the side effect of an impossible crime. This time a fresh corpse is found in a coffin that lay undisturbed in the soil for decades. Hoch was much closer to Commings than to Carr, IMO. H. Edward Hunsburger's "Eternally Yours." This is one of my all-time favorite detective stories, in which an artist for hard covers uncovers the secrets of his new apartment. The previous tenant died behind locked doors after an apparent domestic accident, but his ghost keeps sending letters to a chess buddy from beyond the grave. MacKinlay Kantor's "The Strange Case of Steinkelwintz." The disappearance of a baby grand piano from a top-floor apartment presents a poor-man's amateur detective with an opportunity of a lifetime. The ending is simply perfect. H.R.F. Keating's "The Legs That Walked." A pair of severed legs from a murdered man vanish from a locked and guarded tent and it's up the downtrodden Ghote to find a logical explanation. Note: Keating ripped-off Edmund Crispin for the solution, but also improved it and neatly tied it in with Indian culture and I hated that Crispin story anyway. So I can forgive him for taking something lousy and turning into something great, which this story is. Ronald Knox's "Solved by Inspection." The closest anyone ever came to writing a story that feels like it could've been penned by G.K. Chesterton, in which a man starved himself to death in his locked bedroom while he was surrounded with food. Knox's series detective, Miles Bredon, proves that the man was murdered under extremely cruel circumstances. William Krohn's "The Impossible Murder of Dr. Satanus." Keith McCarthy's "The Invisible Gunman." A master clock maker is shot to death in his shop and the murderer must have been his brother, who had a shop of his own across the street and he hated his brother, but he had a cast-iron alibi for the time of the murder. A story that fits together like the innards of a Swiss watch and has a nifty twist on an otherwise hackneyed plot-device. Hugh Pentecost's "The Day the Children Vanished." A small town is thrown into a panic when a bus full of children drive into a dugway and failed to show up on the other end. 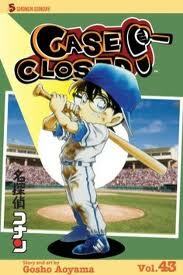 It's just a very satisfying mystery, but also a very well told story with a smash ending and a great detective. 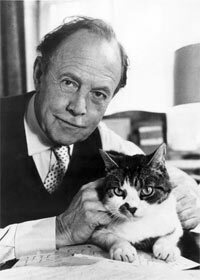 Arthur Porges' "No Killer Has Wings." The body of a man is found on a small beach and the only footprints on the beach are those of the victim and his dog. Porges provides this problem with one of the best solutions for the no-footprints tricks. Absolutely brilliant! Arthur Porges' "The Scientist and the Wife Killer." A man under grave suspicion of having buried his previous wives prematurely electrocutes his latest wife, inside a bolted bathroom, without any electric appliances in the room and her husband was miles away at the time of her death. One of those rare, but successful, inverted mysteries in which the impossible situation replaces the whodunit aspect. Bill Pronzini's "The Arrowmont Prison Riddle." One of the most complex short stories in this particular sub-genre, in which a convicted murderer disappears from a locked and guarded execution shack less than a minute after he was dropped through its roof with a stiff rope around his neck. Improbably? Yes, but also absolutely awesome. Nameless takes on an undercover assignment at a bookstore where a wraithlike thief has been smuggling valuable maps past a perfect operating security system. The solution is uncomplicated, workable and first class. Arguably the best story in this collection, in which Quincannon and Carpenter, masquerading as the fictitious Mr. and Mrs. John Quinn, set-out to expose professor Vargas, head of the Unified College of the Attuned Impulses, as a fraudulent medium – who made an art out of financially draining the grieving. The professor puts on a fantastic spook show in his locked and darkened séance room, where tables move on their own accord and luminous faces from the spirit world take a peek at our plain of existence, but then the Grim Reaper puts in an appearance – and Vargas is stabbed while everyone was holding hands and the locked door prevented any outsider from coming in! I have a sneaking suspicion that this tale was penned as a tribute to John Dickson Carr. The story has an atmospheric setting and a premise that revolves around apparently supernatural occurrences and an impossible stabbing, but there were also a few laugh-out-loud moments – as Carpenter and Quincannon were channeling the spirit of Sir Henry Merrivale when it was their turn to ask the spirits questions! Full marks for this story! Bill Pronzini's "Where Have You Gone, Sam Spade?" Nameless is laboring under the naïve assumption that he's earning an easy fee, when he agrees to fill-in as a temporary night watchman for an importing company. The facility he has to guard already resembles an impenetrable fortress, where he can kick back with a pulp magazine most of the time, but it takes more than locks and shuttered windows to stop the detective curse – and before long he has to find an explanation as to how a body could be introduced into a building that is the equal to a sealed box. The solution to the reversed locked room problem is as simple as it's clever as well as the identity and motive of the murderer. Great title, by the way! The miracle problem was not a specialty of Ellery Queen, but when they dabbled into it it was nearly always memorable, if not always successful. A locked room that turned inside out, a train that disappears between two stations or, in this case, an entire house. Edogawa Rampo's "The Stalker in the Attic." One of those rare, but successful, inverted locked room mysteries from the Japanese father of the detective story and perhaps the most interesting mystery from his hand that has thus far appeared in the English language. Clayton Rawson's "From Another World." Craig Rice's "One More Clue." A straight forward locked room mystery from the Queen of Screwball Comedy with an inventive and original solution. John Sladek's "By an Unknown Hand." An award-winning short story that landed the author a contract to pen the locked room classic Black Aura (1974), but in this story his detective, Thackeray Phin, is confronted with a strangulation in a locked and windowless apartment and consults the Dr. Fell and Father Brown stories for a solution. Hal White's "Murder at An Island Mansion." The author strings together no less than three murders of the no-footprints variety and they appear to be work of a menacing ghost. Not exactly of the same caliber as Carr or Talbot, atmosphere or plot-wise, but therefore not any less enjoyable. Hopefully, White has not retired from this field. We need neo-orthodox writers like him! Hal White's "Murder on a Caribbean Cruise." Reverend Dean takes a cruise to relax and reflex on his life, but than someone is murdered and the scene of the crime is a locked cabin – turning this pleasure cruise in a regular Busman's Holiday for the modern-day Father Brown. "Murder on a Carribbean Cruise" would’ve been a great alternative title for this story. Ok. I deserve to be punched in the face for that pun. Cornell Woolrich's "The Room With Something Wrong." From all the Rooms-That-Kill stories I have read, this one ranks at the very top and concerns a hotel room with a will of its own and decides when guests have overstayed their welcome by hurdling them out of the window in the dead of night. James Yaffe's "The Problem of the Emperor's Mushroom." Paul Dawn, the only member of the Homicide Squad's Department of Impossible Crimes, listens to Professor Bottle's historical account of the murder of the Roman Emperor Claudius – and the impossible angle to his demise. A poison was administered in his favorite dish of mushrooms that didn't affect the Emperor's food-taster, but threw him in a violent convulsion. I reveled at the double layered structure of the story, that runs for only 14 pages, and James Yaffe, who was only sixteen at the time he wrote it, should be commended for it. A thoroughly enjoyable story! Israel Zangwill's "The Big Bow Mystery." One of the corner stones of the locked room genre and one of the first stories that rose above the banality of hidden passages, venomous creatures and unknown poisons. Unfortunately, the solution has been copied to death, but that should never reflect back on this story. It may also have introduced the multiple solution ploy that is usually associated Anthony Berkeley and Ellery Queen.